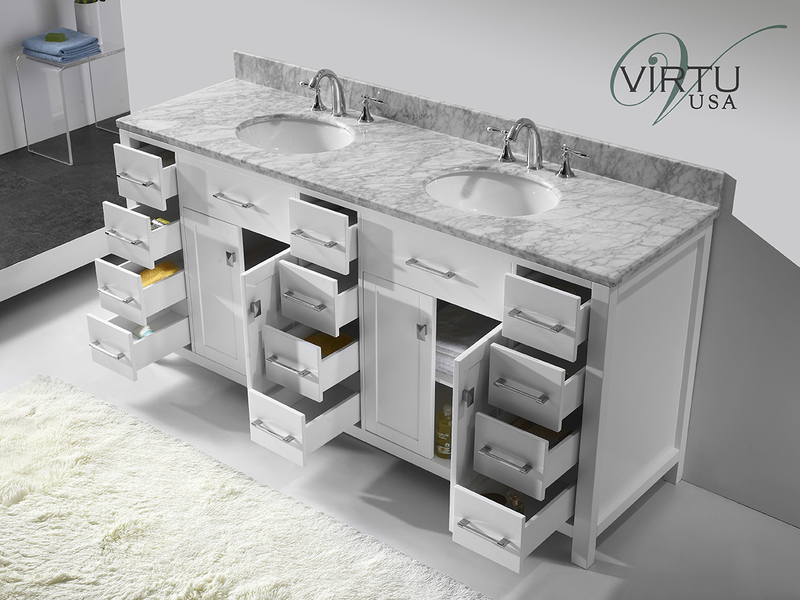 The 72" Caroline Parkway Double Vanity offers a unique look for your bathroom that borders between traditional and modern appeals. 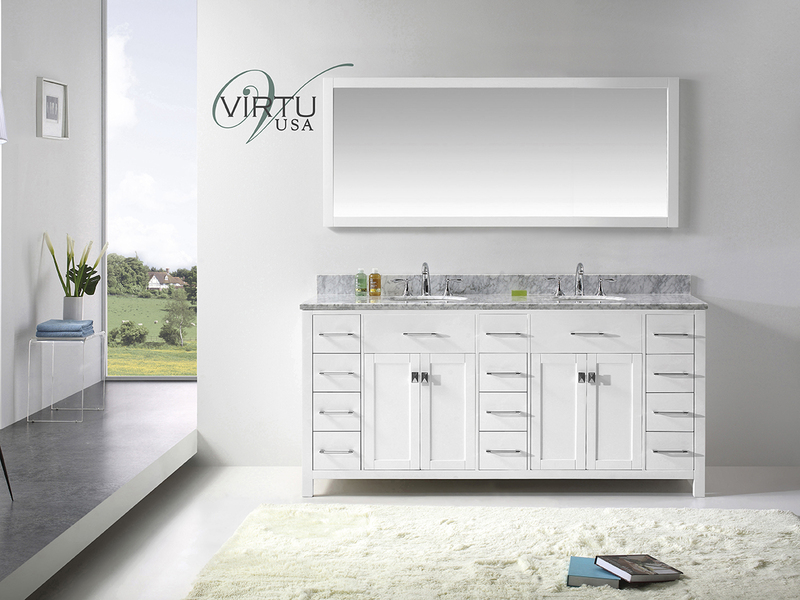 Featuring a solid oak cabinet finished with a brilliant White finish and topped with an Italian Carrera White Marble top, the Caroline Parkway collection brings style and function to your home. 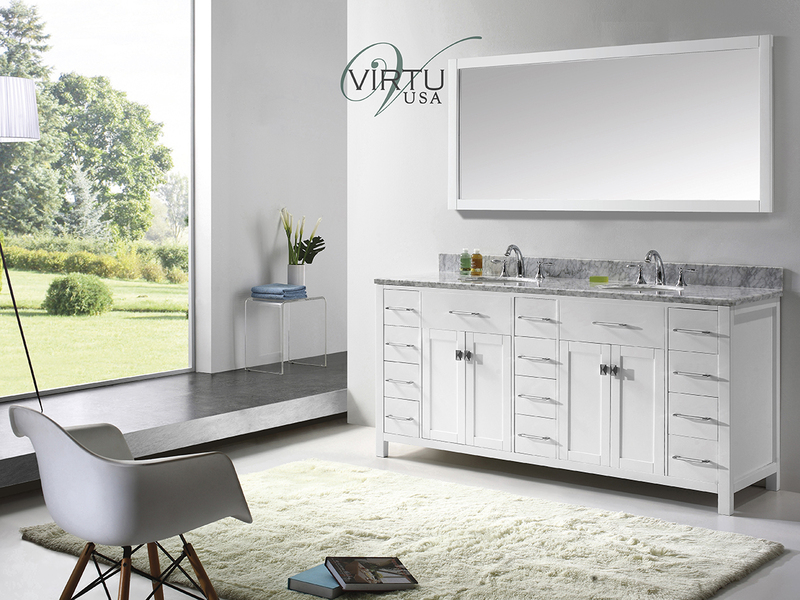 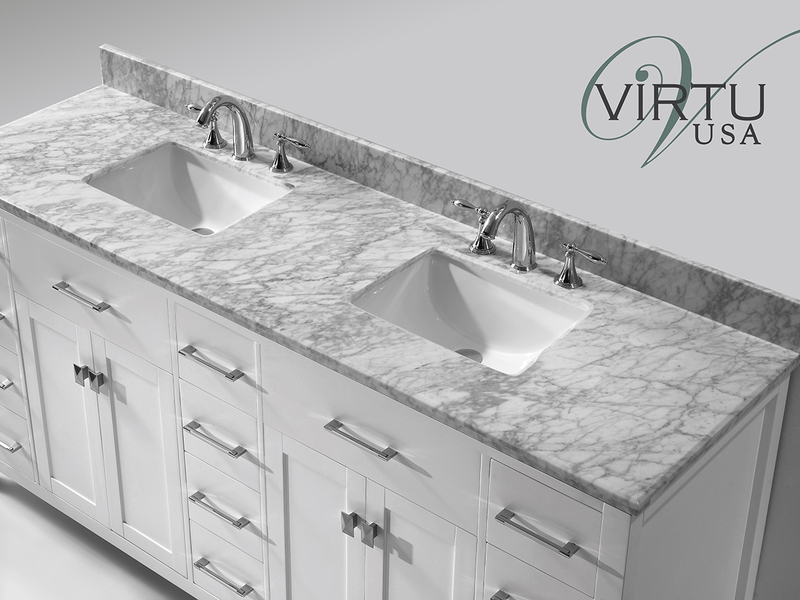 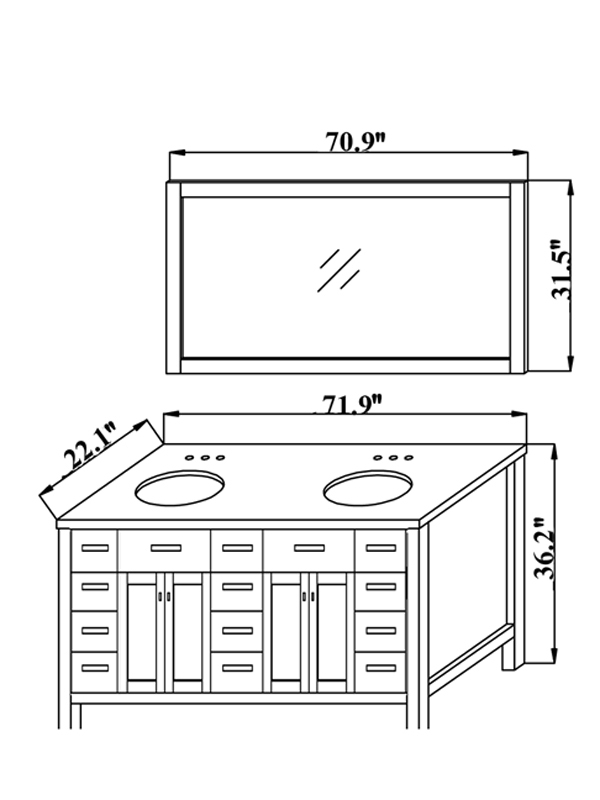 A matching mirror comes with this vanity and the sinks can be cut to be rounded or squared.